George Steinsky: Growth is at a pace that allows OEMs to manage their incen-tive budgets. Retail and subvented loan products will be key elements in George Steinsky’s plan to grow the reach of Hyundai Capital Canada Inc. (HCCA). Steinsky, president of HCCA, wants to expand Hyundai’s leasing business by building up its retail loan portfolio, particularly with subvented loan products that are not yet in the picture. A subvented lease is supported with manufacturer marketing dollars to help provide a lower monthly payment. Steinsky said he wants to grow leasing but only in a manner that makes sense for the automakers (Hyundai, Kia, Genesis), dealers, and residual values. Currently, lease returns are few, Steinsky said, but by next year there will be significant and consistent flow of them. 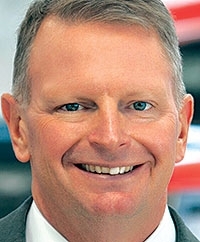 He said that could create momentum for lease sales, as dealers learn about and leverage leasing’s built-in loyalty and prime used-vehicle sourcing opportunities created when customers return to the dealership at lease end to re-lease, buy out the lease or end it. If the customer does not buy out the lease, it creates an opportunity for the dealer to cherry pick returned units for their own used-car inventory. With Hyundai and Kia dealers sharing “a history of not having a captive (owned by Hyundai) lease company,” Steinsky said both brands need to raise their respective lease-return games over the next year or so. HCCA is already prepping and training dealers to have a plan in place to deal with the lease return influx. Inventory or floorplan financing is also an objective. HCCA is currently in pilot with such a commercial plan at two Hyundai and two Kia dealerships. HCCA came to life in May of 2014 as a modest operation, a base model with no options. “We did our first lease in January 2015, so we stood up the business very quickly,” Steinsky said.